I tried the answer from How to get a password from a shell script without echoing over on Stack Overflow that uses read -s, but that results in Password: without the key symbol when run from a script, but displays the symbol when run from the Terminal itself . What is this key symbol, and can I find it under the Characters menu? I get the key symbol when running read -s in Terminal. As this seems to work the same for read -s as for sudo, I assume this is a feature of Terminal (to display a key symbol whenever input is requested in silent/hidden mode). I think it has something to do with whether the terminal echo option is disabled. I tried running stty -echo; cat; stty echo in my terminal and then typing something, and the key symbol showed. I then pressed Ctrl+D and it went away. Not the answer you're looking for? 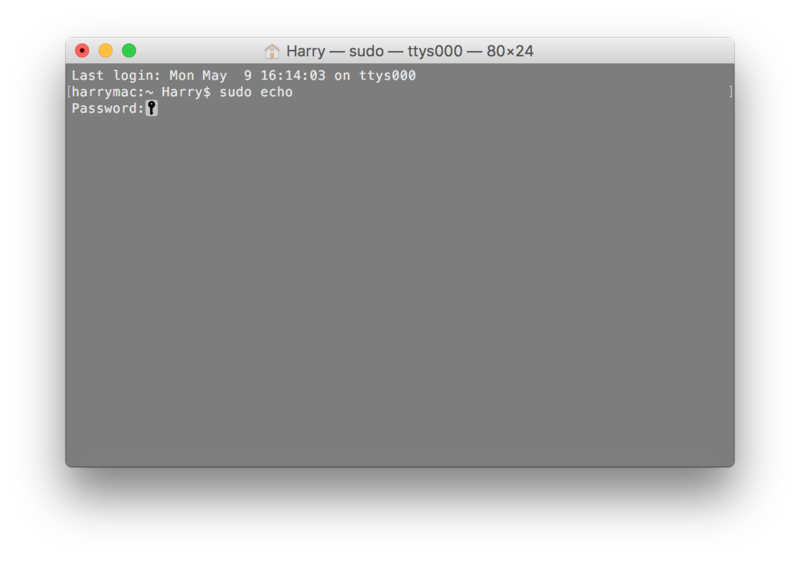 Browse other questions tagged macos terminal password sudo .